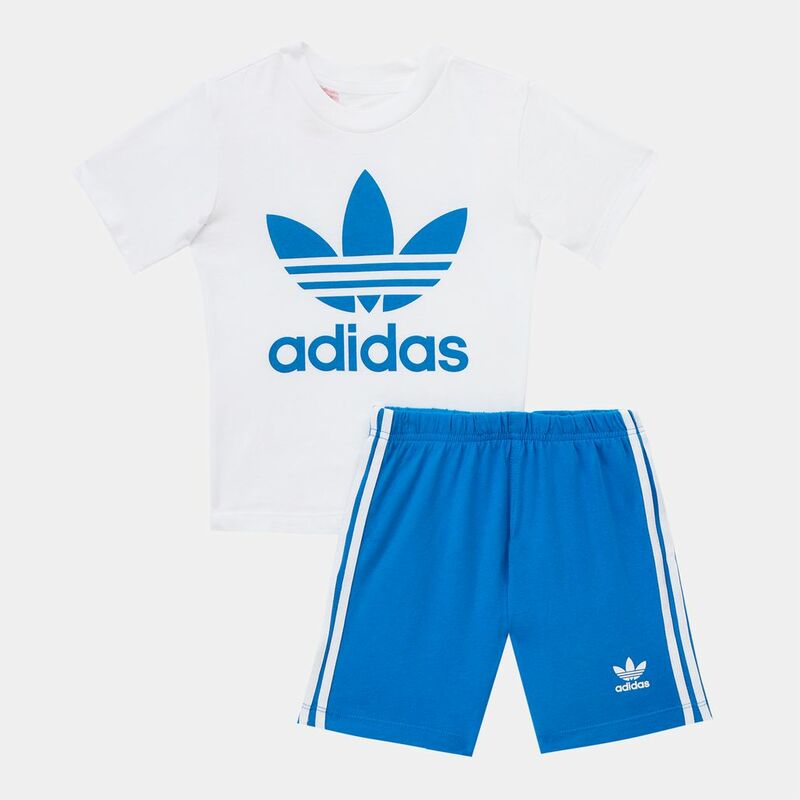 The sports style look is right on trend for your youngster and what better way to follow the hype than with the adidas Originals Kids' Shorts and T-Shirt Set for infants. 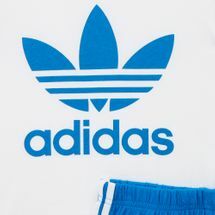 The set, made from sustainable material, features an oversized Trefoil logo on the t-shirt, the shorts also have Three Stripes detailing to show off their affiliation to the iconic brand. The adidas Originals heritage: passed down to another generation.